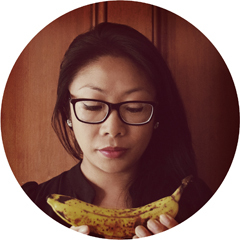 Nom Nom Panda is an Auckland food blog with recipes, reviews and news. A great resource for those who enjoy dining out in Auckland. Her cooking adventures are well documented and fairly scientific and tables of findings and information are common with the panda. Nom Nom Panda’s monthly feature Auckland Diner’s Diary is a list of Auckland’s eatery openings, closings and food-related events in Auckland, it’s both an interesting read and a unique historical record of Auckland’s culinary landscape. Below are Nom Nom Panda’s answers to the tasty questions I cooked up for your enjoyment. Food related musings. News and reviews. My kitchen experiments. It used to the one about Chinese eggettes, but lately it’s been overtaken by Homemade Puffed Rice, even though my creations were not anything like the commercial version. It’s hard to pick one thing, but I guess it would probably be a freshly made toasted cheese sandwich. 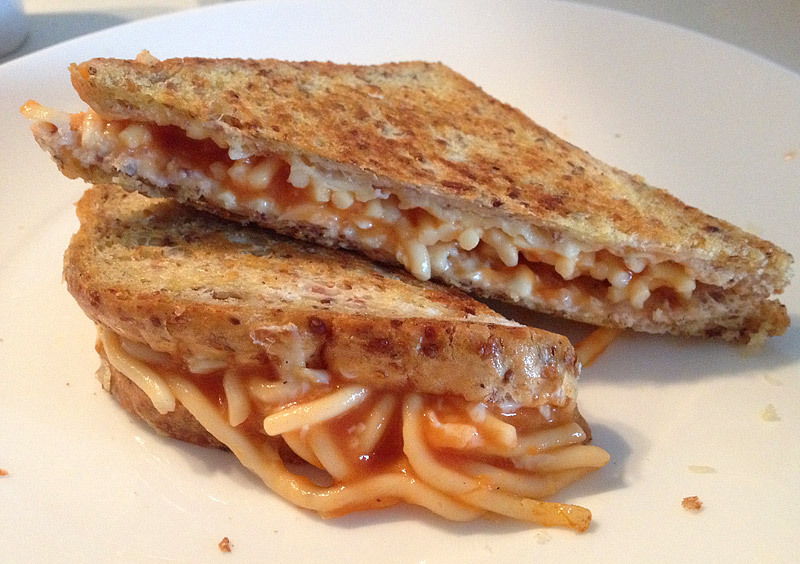 Fat and carbs always make you feel better, right? It even gives the impression that it’s healthy if you stick some plant matter in it, like tomato, onion or pineapple. Homemade latkes, with a poached egg and asparagus. I learnt to make what they called herbed kumara rostis at the Main Course cooking school years ago, as part of a work team event. This version is really simple, just an agria potato (I didn’t even bother to peel it), salt and frying oil. Unfortunately, I’ve been sick all week, so I haven’t had a chance to explore many culinary wonders. The honour goes to the okra curry I cooked several days ago, even though I made plenty of mistakes. One thing I learnt from that is not to take recipes at face value. If it says to use 2 Tbsp oil, but there’s way more in the picture, do what the picture tells you. Preserved olive vegetable (橄欖菜, gan lan cai) – we first came across it in a beef ball noodle dish we had in Malaysia, and you can buy it in little jars at your local Asian grocery store. I would happily eat it stirred through plain rice, though there are proper recipes on the web, e.g. A memorable food experience would cause me to research it, and I might try reproducing a dish at home. If I see an unusual ingredient for sale, I would often just buy it, then work out what I can do with it later. Of course, I also subscribe to lots of mailing lists and follow other food writers and just generally keep my eyes open. For instance, today Robert Oliver wrote about a Persian restaurant called Rumi, which opened in Parnell recently. Then I looked up what was on the menu, and read more about the dishes I hadn’t heard of before, such as Gheymeh. There are lots of great restaurants in Auckland, and variety is probably more important to me than anything else, once a certain standard has been reached. Depot would probably be the first eatery I would recommend to visitors. The place we return to most often, though, is Ras Vatika on Dominion Road, on the stretch dominated by Chinese restaurants. It’s a very basic little Indian restaurant. The food there is slightly different every time you order it, but always good. 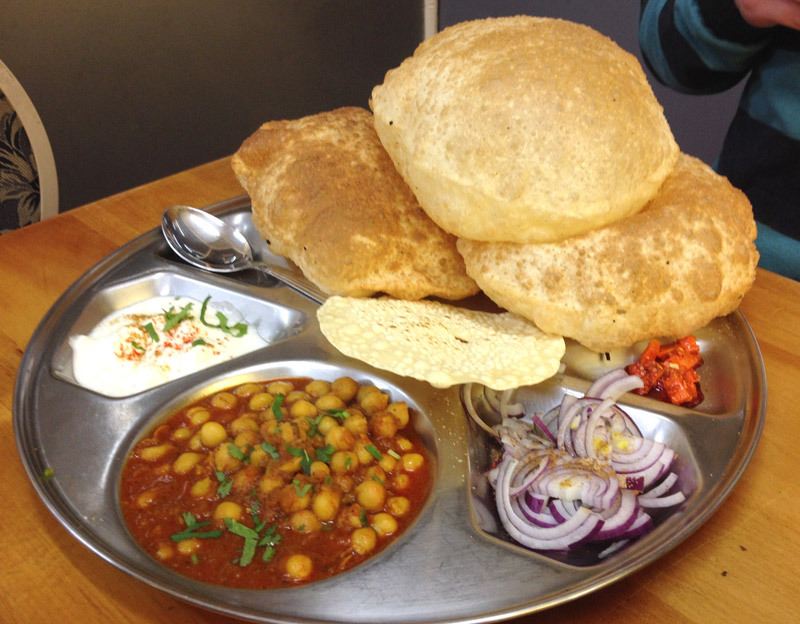 That would have to be the chole bhature, a delicious chickpea curry served with poori, fried bread that they somehow manage to puff up into tall pillows. along with yoghurt, raw onion salad, poppadom and pickle. It’s supposed to be a breakfast dish, but that’s never stopped us ordering it for dinner. Gordon Ramsay’s cheese and leek quiche never fails to impress, and it’s suitable for vegetarians too. I always use a fresh goat’s cheese and get compliments every time. Life is full of memorable meals. 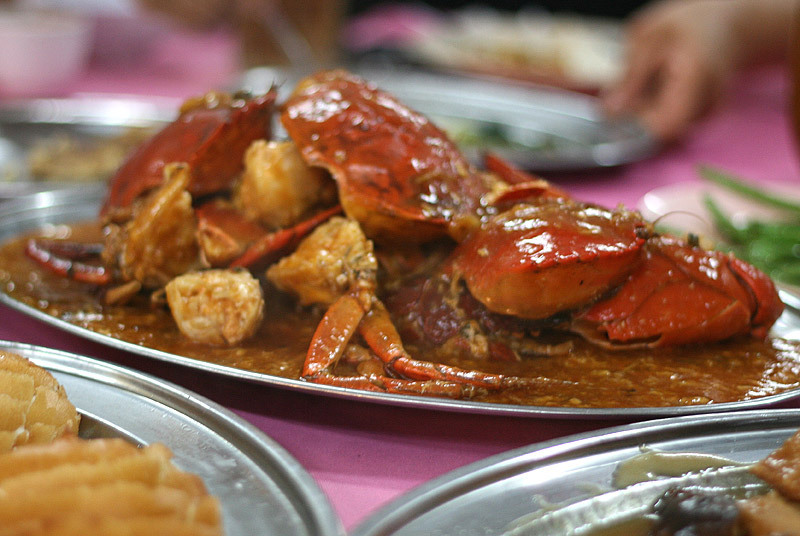 I guess one would be when we went to eat chilli crab with some Malaysian relatives. We’d brought friends along and everyone loved the dish, but one of them wasn’t used to handling the Asian niceties, and put something on his plate every time he was told to have more. He was exploding after that (and there was still food left over), though another friend cleverly pushed food around her plate to make it look like she was still eating when she wasn’t. I can’t believe we still haven’t made it to L’oeuf yet, after seeing many great pictures and hearing good things about it. Check out Nom Nom Panda here or follow on Facebook, Twitter or Instagram. Images used with permission from Nom Nom Panda.